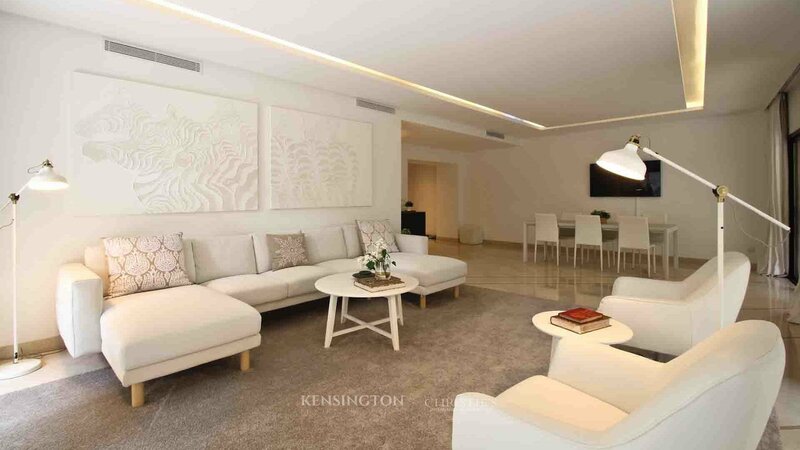 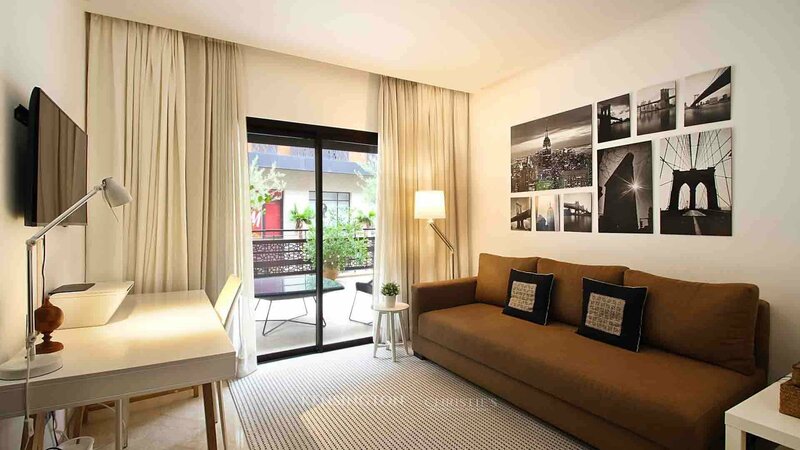 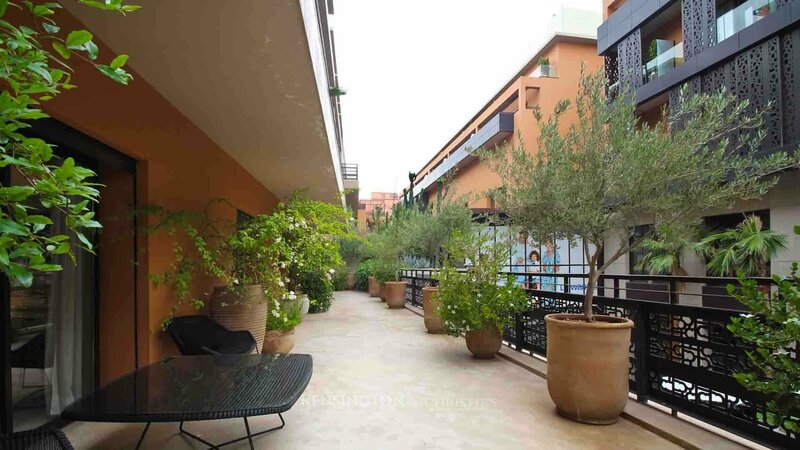 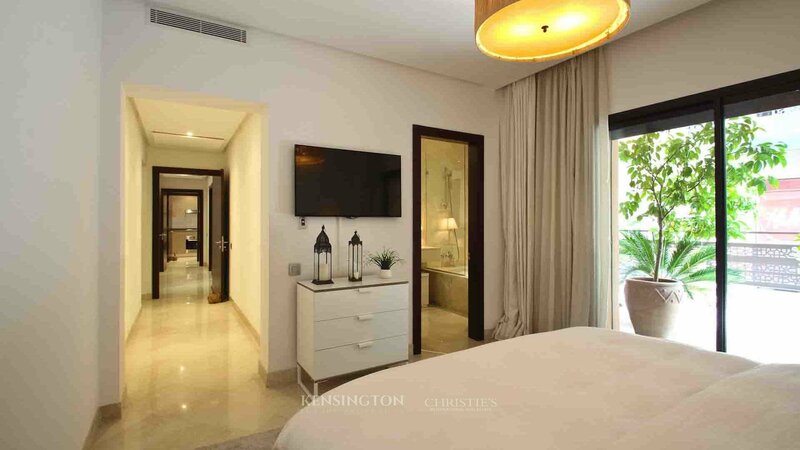 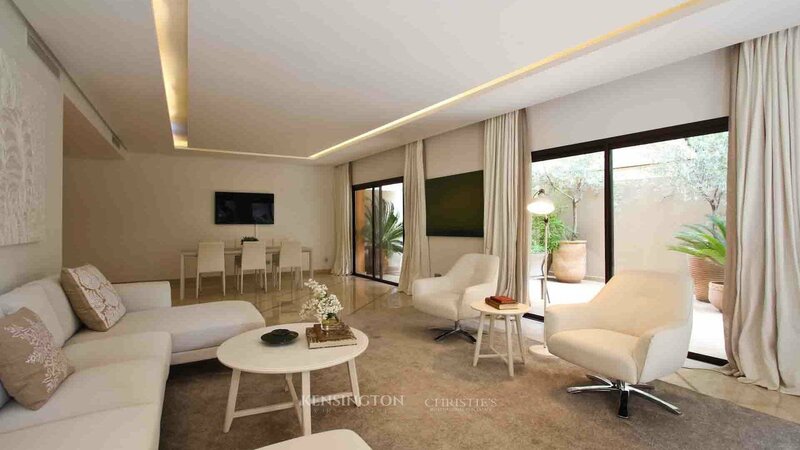 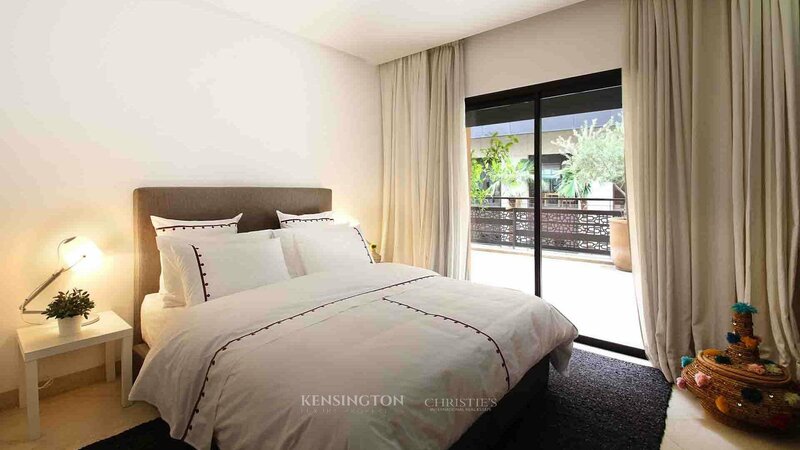 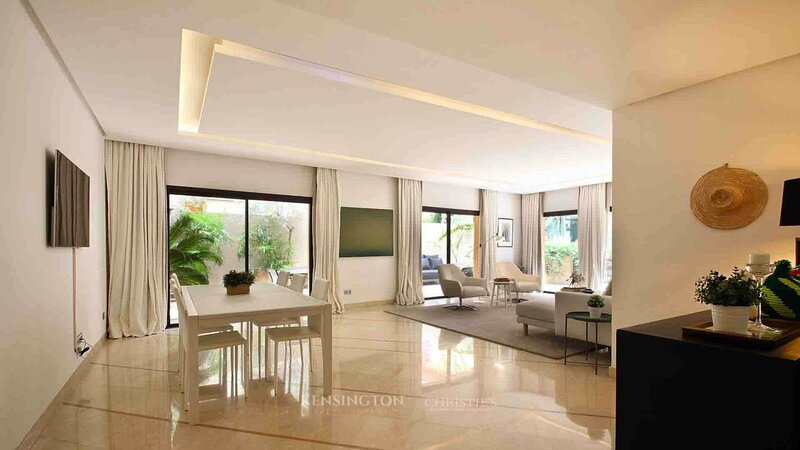 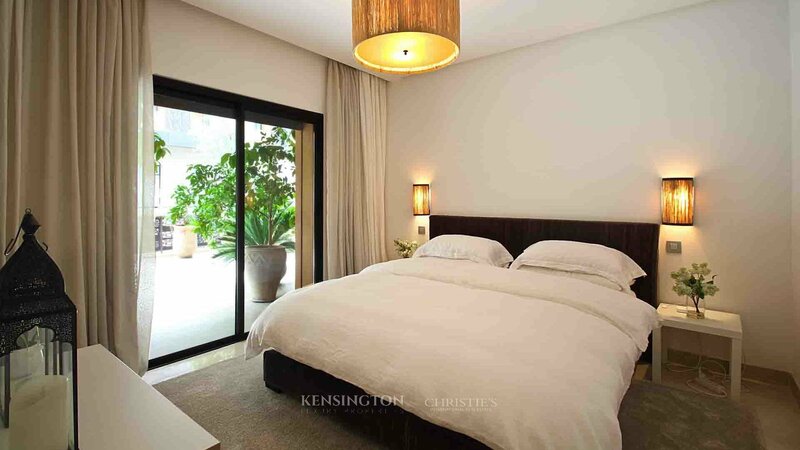 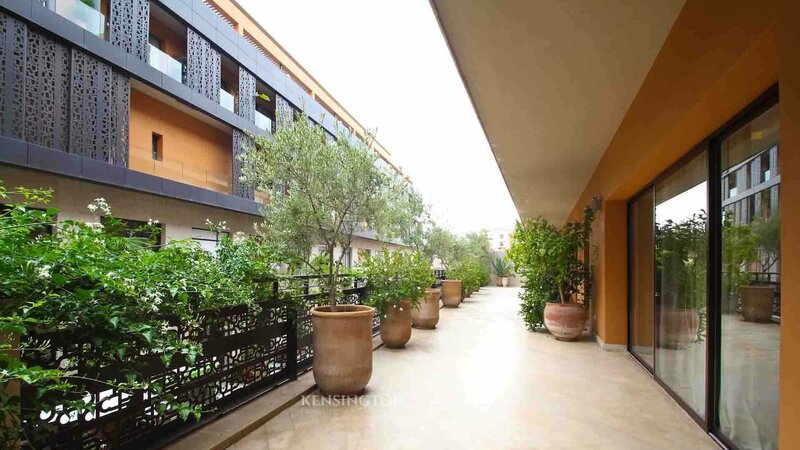 Splendid 3 bedroom apartment of 293 sq.m (inclusive of 141 sq.m of terraces) situated in the heart of Marrakech City Centre and decorated with high end contemporary furniture. 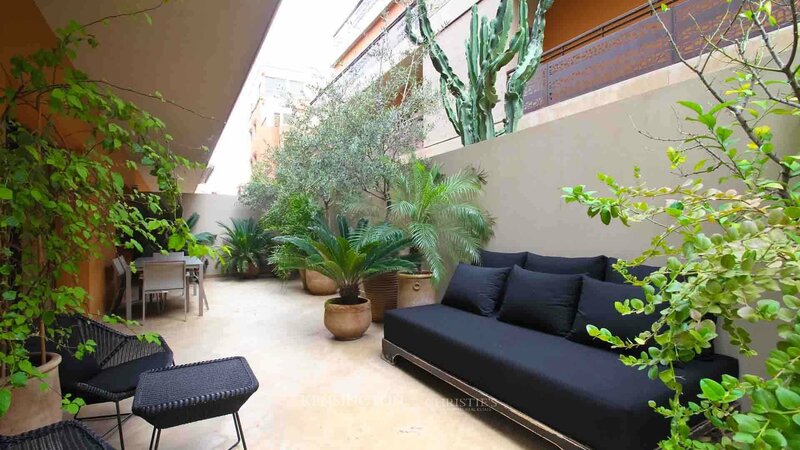 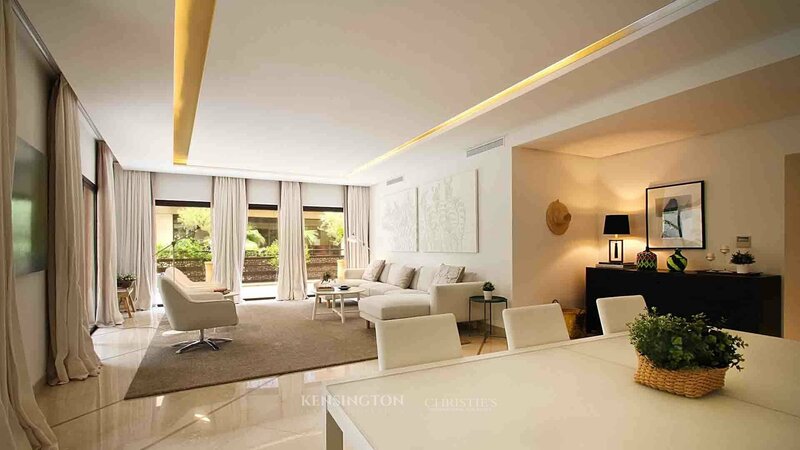 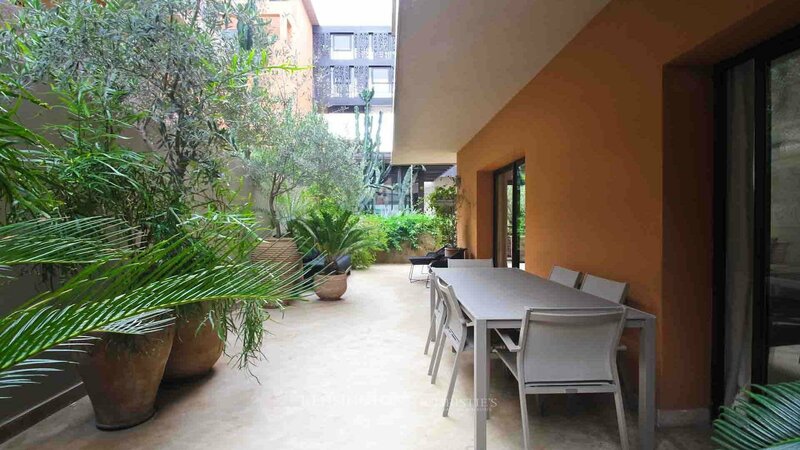 This exceptional property offers all the advantages of city life, close to all the facilities, and with the added benefit of 2 large tree filled terraces. 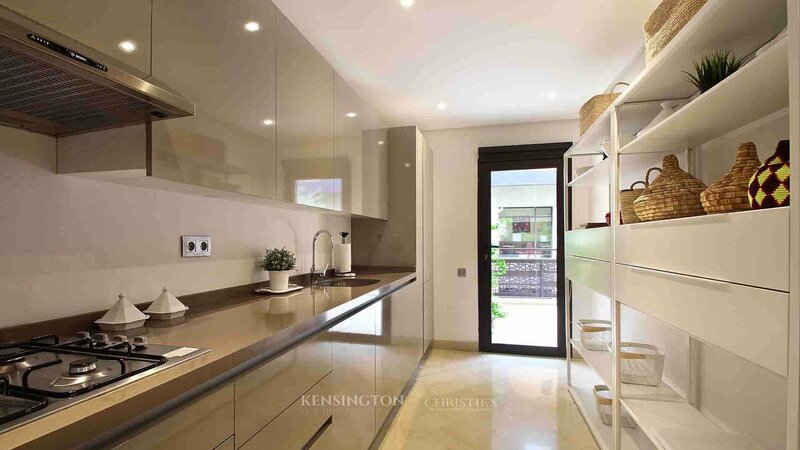 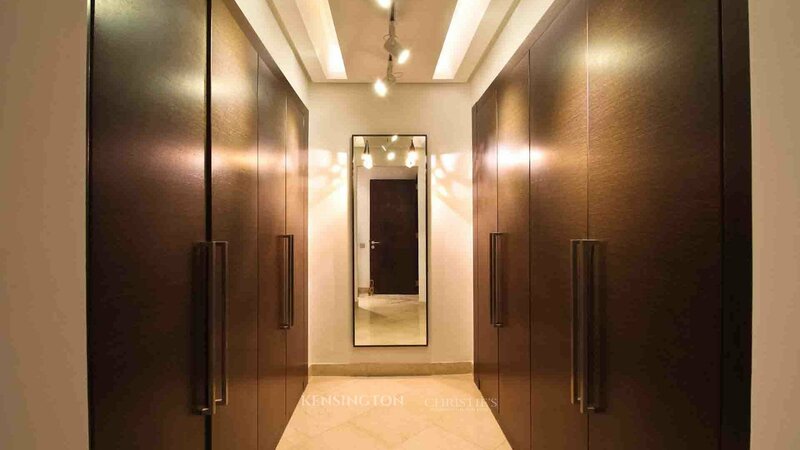 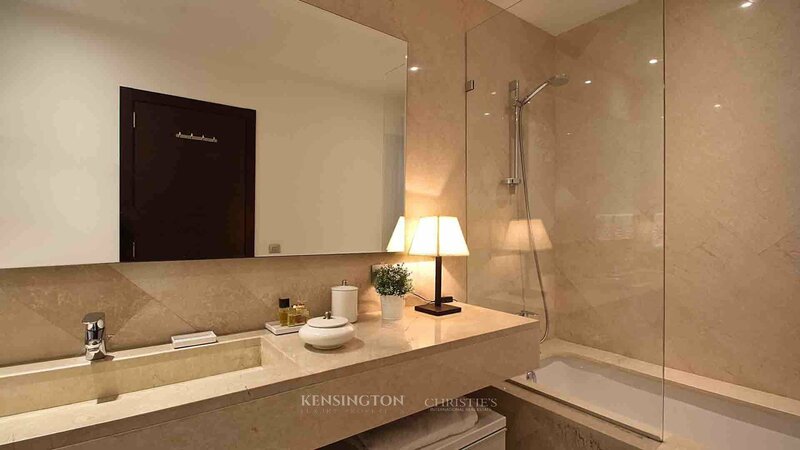 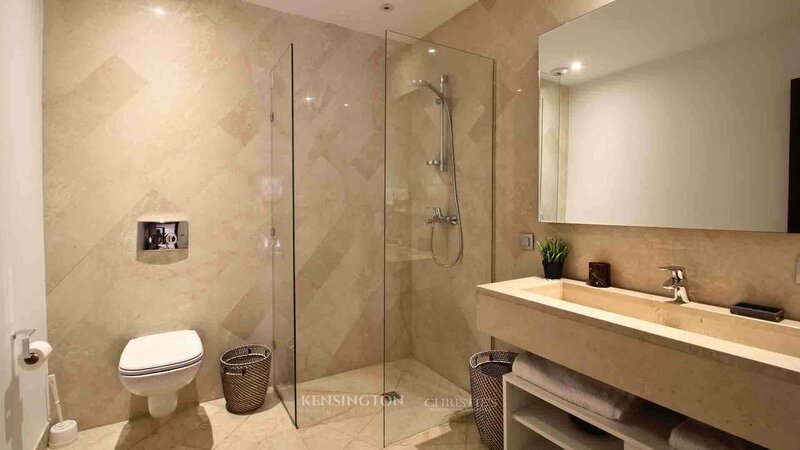 2 parking spaces served by a direct lift and a big storage room complete this property.